Born in 1989, he is the Millennial alderman. He’s known only two mayors in Chicago: Richard M. Daley and Rahm Emanuel. He was raised in Lakeview, where his Mexico-born mother and Puerto Rican father often talked about Chicago politics and campaigned for candidates—including his uncle who successfully won his election to be a judge on the Cook County Circuit Court. 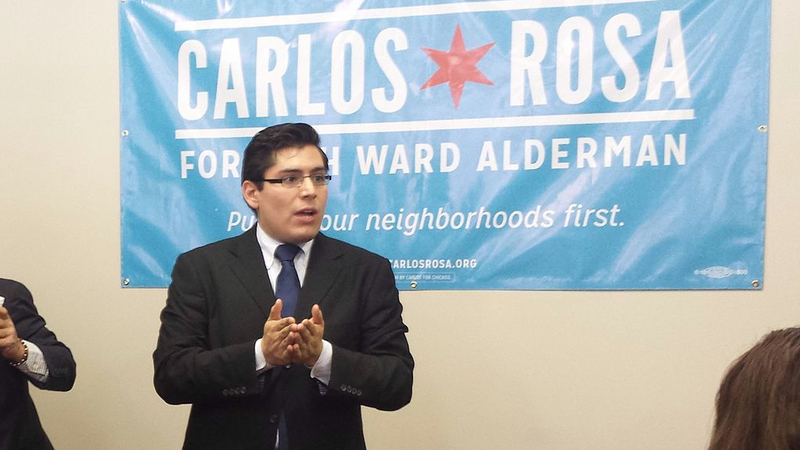 Ramirez-Rosa also was elected as the city’s first openly gay Latino alderman—a feat he didn’t think would be possible when he was younger. With its voter turnout horrendously low — below 50 percent in the last presidential election, and at least 15 points lower during last year’s midterms — even I, viewing the Latino population from the inside, have been under the impression that Latinos by and large are politically apathetic. It’s infuriating to see Latinos marching, protesting and flooding social media with their indignation, only to sit on their hands when the time comes to elect some change where real change begins: at the local level, from the bottom up. By not voting, Latinos seemingly quell the fire they spend the rest of the year kindling. Alderman Rosa stands as a sharp counter to all that. Here we have someone not only throwing off the stereotype of the politically disengaged Latino youth, but taking into his own hands the political destiny of his community, Latino and non-Latino alike. Should his aldermanship prove successful, Rosa will affirm Latino competency in government, much less the role Latinos have to play in politics. Along with the 28-year-old state representative Will Guzzardi, whose district includes parts of Rosa’s ward, the city’s Millennial politicians are signaling to the rest of my generation that it’s time to put away our childish complacency and begin demonstrating actual concern for the society we’re set to inherit.